I’m kinda concerned about the direction of this new series. If you had mixed feelings about the first chapter, then this second chapter will, for sure, make you love or hate this series. It’s too intense so be warned: the innocence from the first series is completely gone. Oh, by the way: Misaki and Mizuno are back! As I was saying, this series is too intense. Welcome to our new proofers, who made a wonderful job proofing this chapter. Unfortunately, both of them asked to never do this kind of stuff. I can’t blame them, hahaha! 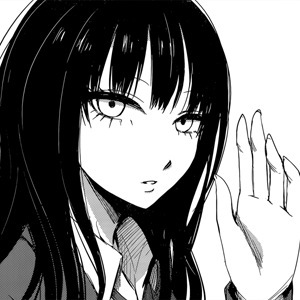 Welcome too to our new typesetter, who will be helping with Hozuki-san. In other things, there are news about the upcoming live action version of hozuki-san expected for September, it seems. A complete page with details, staff and photos was published in the latest Young Ace Magazine. I’ll wait for the report of the translator to give you more details when we release chapter 3. Hopefully, it won’t take that long to be released, it’s a shorter chapter. Regarding our permanent lack of staff, we still need Japanese translators, so please come and help us. A good cleaner would also come handy. Also, if you can afford it, please consider helping us in the donation area. That’s all for today, our next releases will be Isuca and Witch Craft Works.